Enter your details to receive an instant online quote. All quotes include FREE onsite mobile service at a location of your choice within our service areas. Getting your windshield replaced is affordable and convenient when you choose AutoGlassOnly.com! 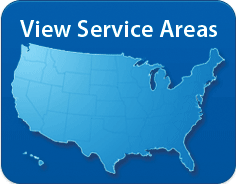 We provide full service windshield / auto glass replacement and repair for all makes and models. Use our easy 3 step online process to quote, schedule, and pay for your auto glass replacement online, or call 1-800-344-7480 between 7am to 7pm CST, Mon to Fri, or between 7:30am to 1:30pm CST on Saturdays. AutoGlassOnly.com is proud to offer the most advanced, safe, and reliable way to schedule windshield / auto glass replacement and repair online. Simply use our quoting system to begin, and you'll be guided through easy steps to arrange your windshield / auto glass replacement or repair by a certified AutoGlassOnly automotive glass installer near you. Read more about our auto glass service.